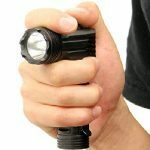 UTG's new Everyday Defense L-Light would nicely round out your everyday carry kit if you're in the market for a good light. As everyone knows — or doesn’t know, but should — a good light is an essential part of your everyday carry kit. 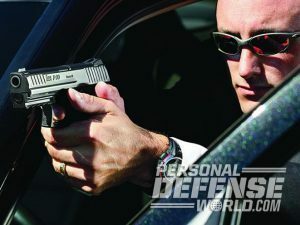 That’s where the UTG Everyday Defense L-Light comes in. Billed as a 400 lumen model that’ll get the job done in any situation you might encounter, UTG’s Everyday Defense L-Light features an IPX7 waterproof rating and aircraft aluminum construction, along with a removable pocket clip for everyday carry. 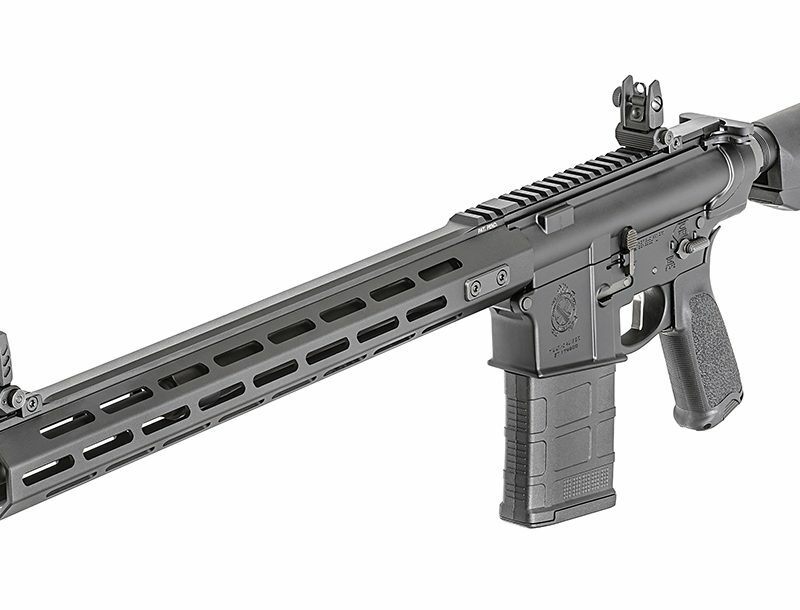 The feature on this light that UTG is really touting, however, is its L.I.B.R.E Technology, which stands for Light with Integrated Brightness Regulate Emitter. 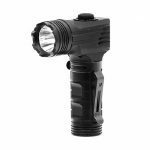 According to UTG, this Emitter lets you scale down the brightness from a high of 400 lumens to a low of 20 lumens using the L-Light’s rear lumen control pad. Once you get the brightness you want, you can retain your setting with the light’s memory function. To activate the full power 400 lumen strobe, quickly double tap the rear button. 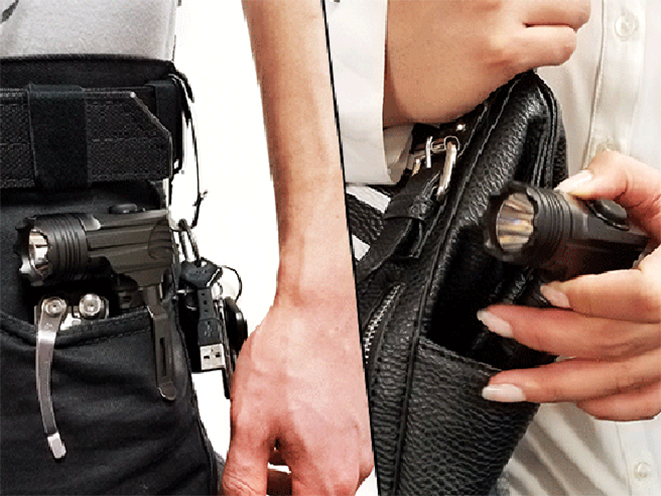 The top button works like a master switch that functions as a momentary or constant on/off switch for the full power 400 lumen as well, the company says. Meanwhile, the L-shape of the light makes it ergonomic and easy to manipulate both buttons while pointing the light at your target. 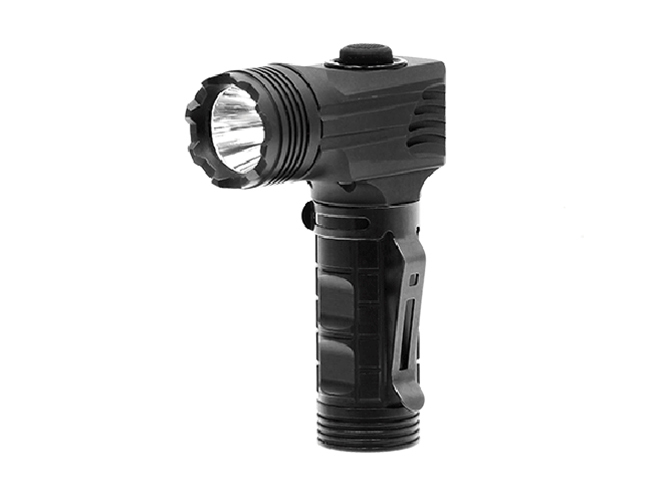 The UTG Everyday Defense L-Light also boasts a CREE LED with UTG’s signature Integrated Reflector and Bulb (IRB). This provides a present intermediate flood focus beam for when you need to quickly ID your surroundings. 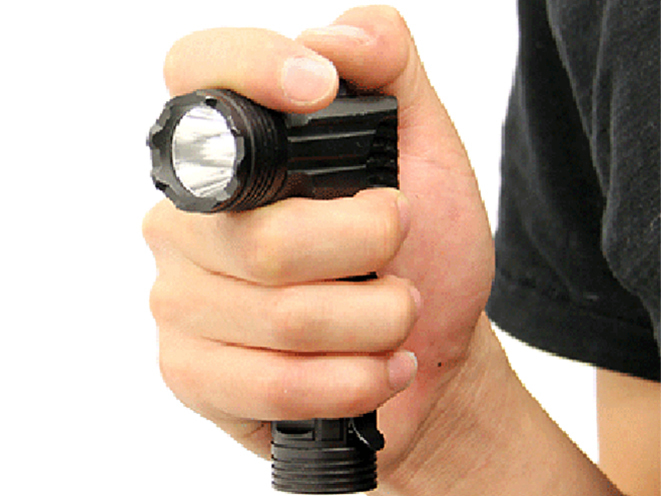 The light also features a bezel head and blunt end cap which acts as a force multiplier in self defense situations. MSRP for this product is $47.97. For more information about UTG, visit https://www.leapers.com.